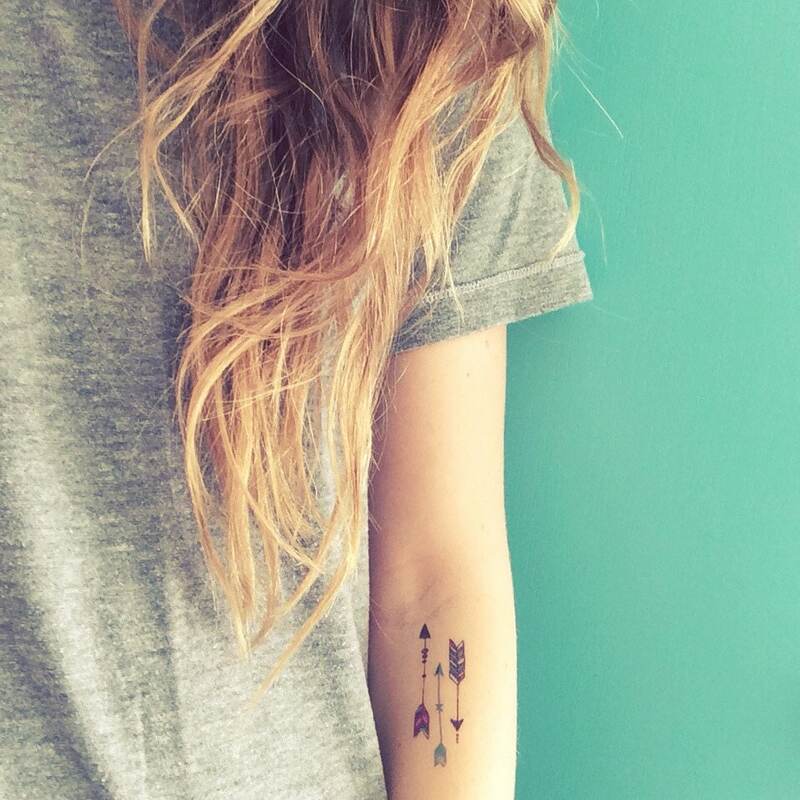 set of 7 bohemian arrow temporary tattoos - wear them all at once, grouped, or distribute them to all your besties! they're great for festivals or showing off your boho spirit! ••• HOW LONG DO THEY LAST? ahh, yes. the eternal question. although i can't predict how long they will last on each individual person, i usually like to give a range between 2-6 days, depending on placement + other factors. the gold and silver tattoos seem to last a bit longer than the flat colors, probably because of the mystical metallic glittery magic.. or something. 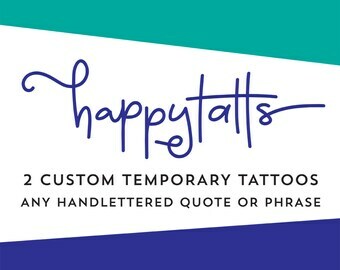 care instructions are provided with your purchase to help you get the most out of your happytatts. i'm a fair-skinned little blonde girl who is allergic to certain kinds of metal and will burn if i'm in the sun for more than 15 minutes without sunscreen. these tattoos DO NOT affect me. i wear them. i love them. i freak out my family, friends, and coworkers on a regular basis. it's great fun. all that being said, i DO NOT make the claim that these tattoos will not affect YOUR sensitive skin. if you have a history of problems with temporary tattoos or adhesive, please purchase at your own risk. oh yeah, and please don't sue me if you get a rash, okay? thanks. you're lovely. and if you have any questions at all, please don't hesitate to contact me. all designs © christen strang. tattoos will come packaged inside a shimmery envelope that says "a gift for you!" with a tiny package graphic above. This was shipped quickly and very pretty! Can I send a gift directly to a friend/family member? Yes! Simply enter their information at checkout. I never include pricing in my packages, so there's no need to worry about that. Only if you live in Sweet Home Alabama. Sorry, dudes. Roll tide. Yes! If you're a brick + mortar store looking to spread a little happytatts love, please contact me for details. How long after I place my order can I expect my item to be shipped? My current processing time is 3-5 business days. Custom orders may take longer. You can find your "expected ship date" on your purchases page or your invoice. What if I have shipping issues? Ugh, so annoying, right? I will always do everything in my power to help you find your package if it goes missing (including providing any information necessary for you to file a claim), but ultimately, I'm not responsible for mistakes by the USPS.